Today we’re making an easy Easter egg collage – such a simple Easter craft for toddlers and one which requires very little prep. 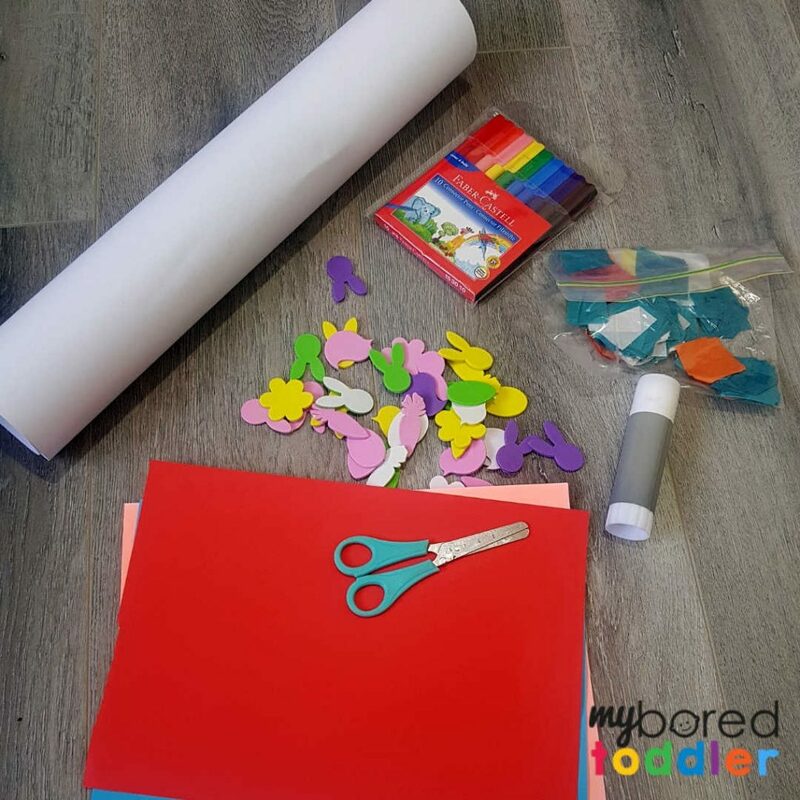 Today’s Easter craft (day 6 of our toddler Easter craft challenge – join HERE) is a great one to use up any leftover Easter stickers from the Easter sticker bag craft. 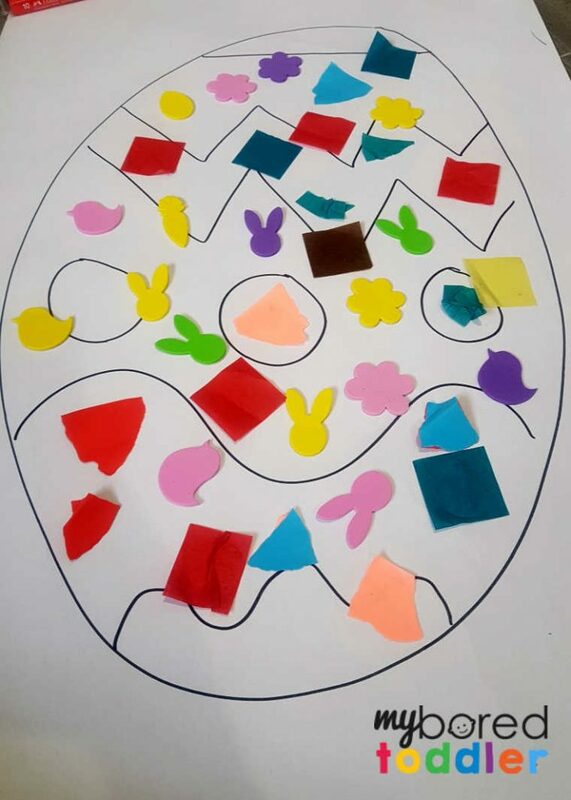 This is a great Easter craft if you have children of different ages as you can easily extend the activity. We kept it simple as a collage, but you could add markers, crayons or paints if you wanted too. Let older children design their own eggs too. What you need for the Easter egg collage. 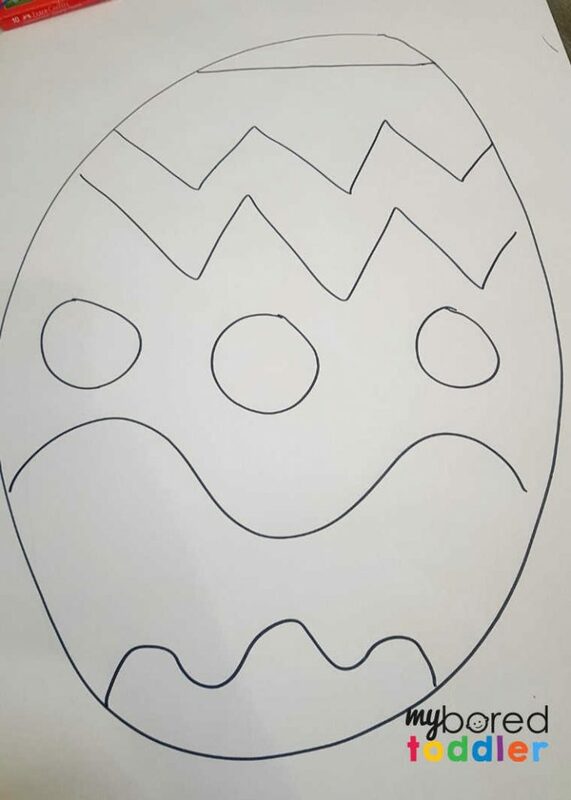 Draw a large egg and some simple decorations on the white paper. 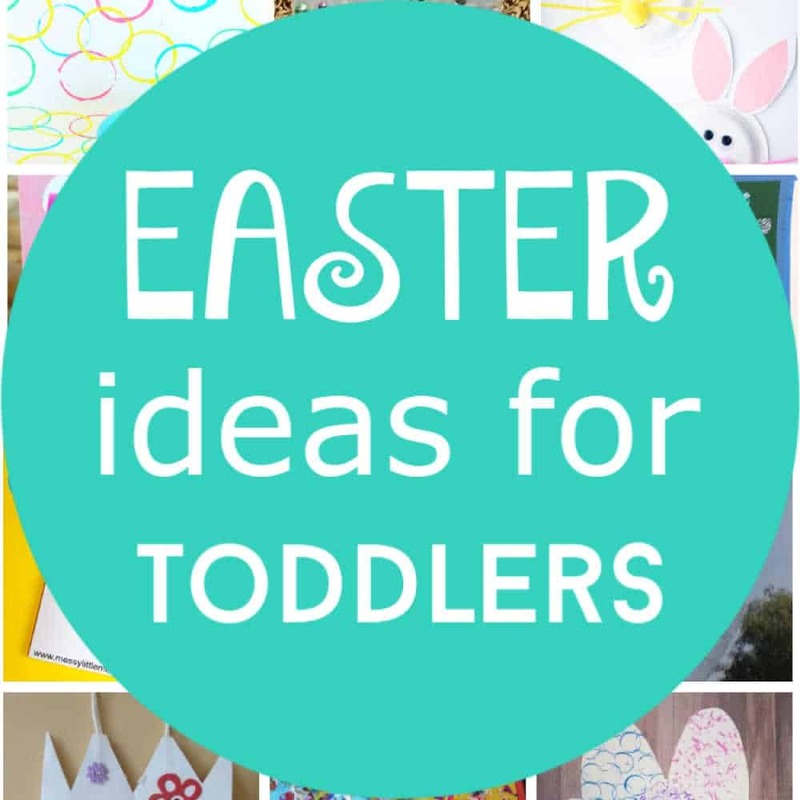 Set out all of your stickers, scraps of paper and other accessories and let your toddler decorate! There’s no right or wrong for this so let them decorate it however they like. 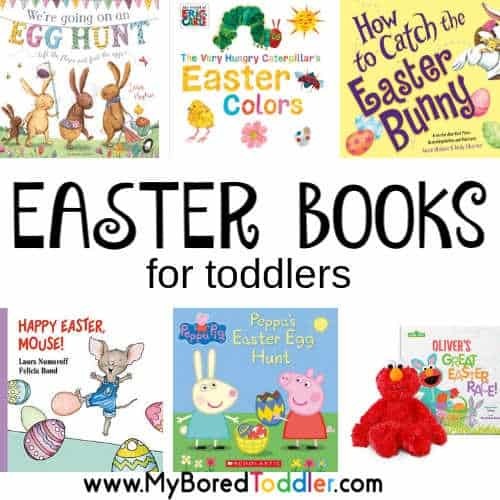 Some more Toddler Easter Ideas you might enjoy can be found HERE.